Unlike what many people try to tell themselves, it is not “normal” to spend your entire weekend hungover. Even if you’re not throwing up, if you generally have a pounding headache and are unable to get to the gym or return a call from your mother on the day following a night of drinking, this means that alcohol is stopping you from living a healthy life. It doesn’t matter if this is “only” on Saturdays and Sundays; you don’t have to carry a flask with you to work in order to have a problem with alcohol. Again, no matter how people try to convince themselves, it is neither normal nor healthy to “black out” from drinking on a regular basis. Blacking out means that you recall events up until a certain time, after which your blood alcohol level was so high from continued drinking that your brain stopped recording memories. Blacking out is generally highly unusual for social drinkers; if this happens to you frequently then it may be time to re-evaluate your drinking. If you can’t even imagine going to a party without being drunk, or if you can’t remember the last time you had sexual contact without being drunk, these are red flags. It means that you aren’t using alcohol to further enjoy a situation that you already are enjoying; instead, you cannot enjoy the situation at all without the use of alcohol to calm you or make you less inhibited. 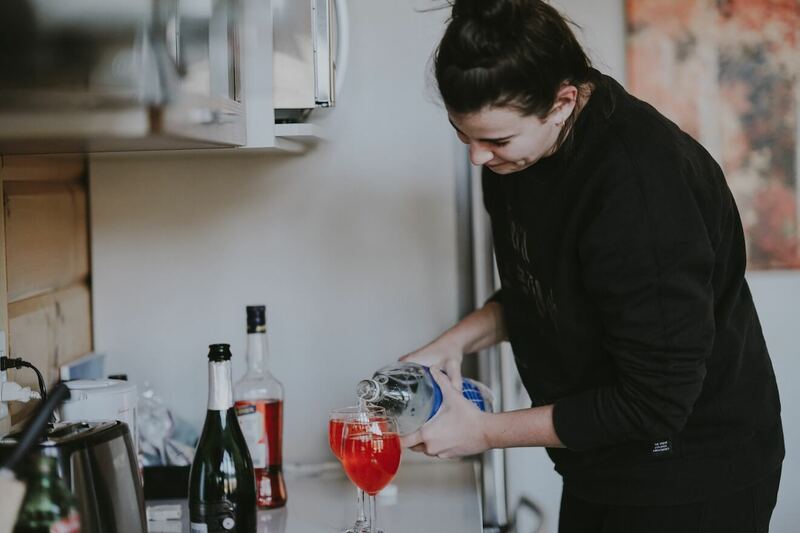 Often, people with social anxiety or sexual issues (e.g., trauma due to a history of sexual abuse) use alcohol to mask these symptoms and allow them to appear “normal” to friends. Yes, everyone does embarrassing things sometimes. But if you’re usually scared to look at your phone or social media when you wake up after a night of drinking because you vaguely remember doing something extremely embarrassing, then this is a strong indicator that you are abusing alcohol. While almost everyone does or says something embarrassing while drinking at some point in their lives, people who are moderate and healthy drinkers generally learn from these experiences and try not to get that drunk in the future. People who have alcohol problems continue to allow it to cause them deep shame and interpersonal conflicts week after week. If you abuse alcohol, the odds are excellent that someone — or many people — have noticed and commented on your drinking. Rather than dismissing their concern out of shame and avoidance, think deeply about their comments. Does a best friend frequently say you really shouldn’t get that next drink? Does a significant other make excuses to not attend events with you where alcohol is present? Usually, alcohol abuse is much more obvious to others than it is to the person who has the problem. If your best friend suggests going to the movies, do you make sure to have a glass of wine (or a few) at dinner beforehand? At brunch, are you the one who orders a pitcher of mimosas every time? When your significant other wants to stay in and watch Netflix, do you find yourself pushing to do a beer run beforehand so the night is less “boring”? The inability to find fun in your life without the presence of alcohol is a key sign that your relationship with alcohol is less than healthy. If you feel that you can’t stop yourself from having more drinks than you had originally planned, or that you can’t trust your behavior when alcohol is involved, then this is a hallmark of alcohol abuse. Some people can’t trust themselves to be faithful to their significant others when alcohol is involved. Others can’t trust themselves to get up and go to work the next day, or to get home at a time when going to work the next day would even be possible. If this describes you, then it is unlikely that you are using alcohol in a moderate or healthy way. If even one of these points resonates with you, it is a good time to take a step back and evaluate your drinking behavior. If all of the points describe you, then it is likely that you have a problem with drinking. Don’t be too embarrassed to seek help from a therapist about your drinking. You have the opportunity to nip your problem in the bud now, instead of ignoring it until it causes major problems in your life. Next Next post: Is Drinking Making You Depressed?